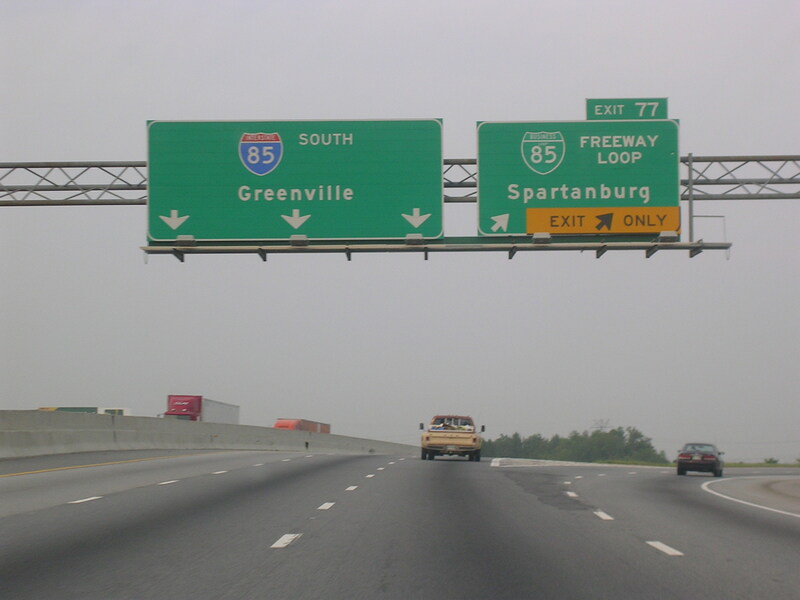 I-85 SB coming up on BL 85, which is the old I-85. 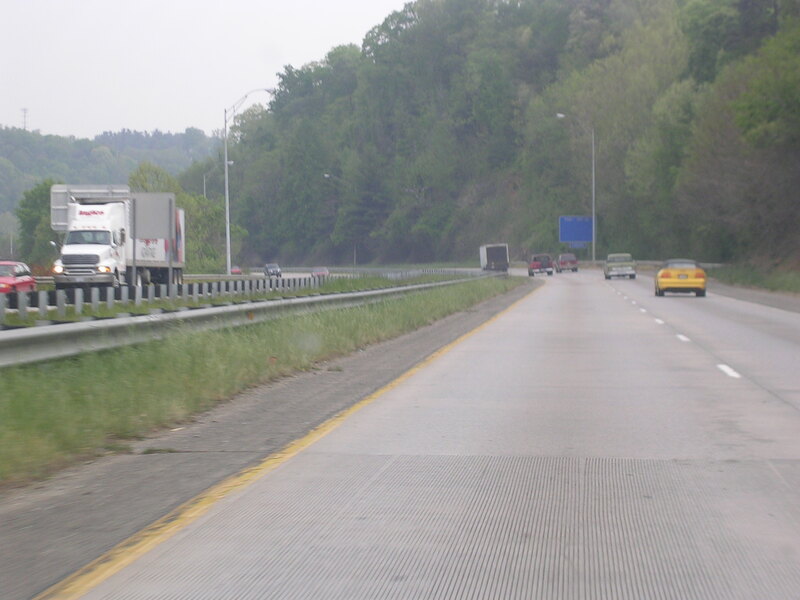 It's a pretty substandard freeway by today's standards. 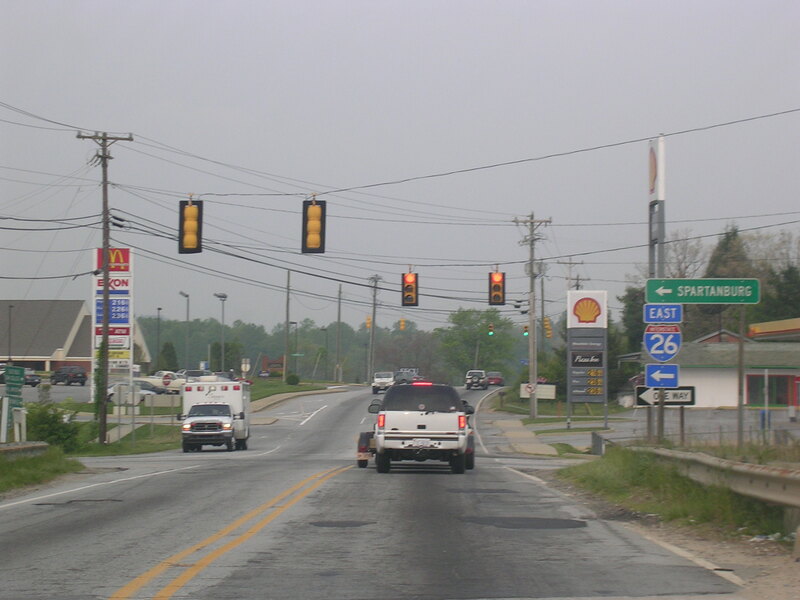 Approaching US 176. 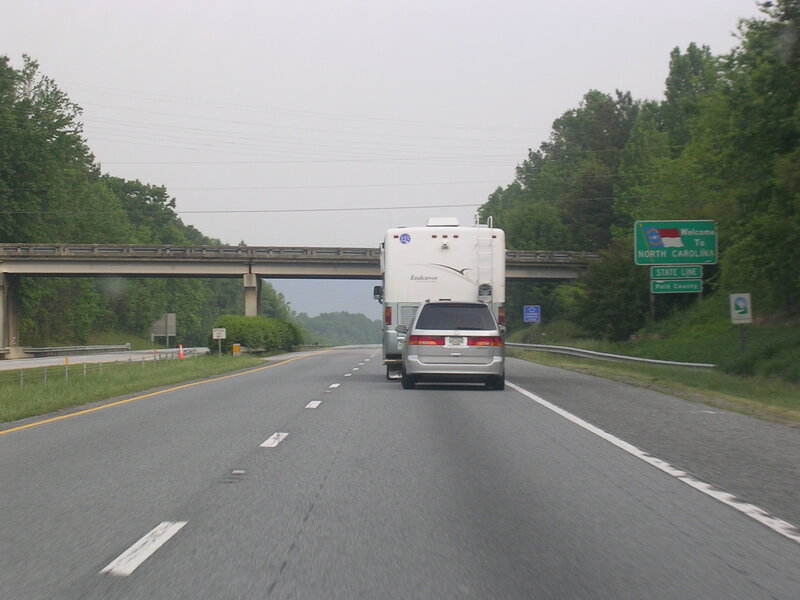 This road leads directly to I-585, which was ruthlessly abandoned by I-85 when it selfishly relocated to a roomier area. 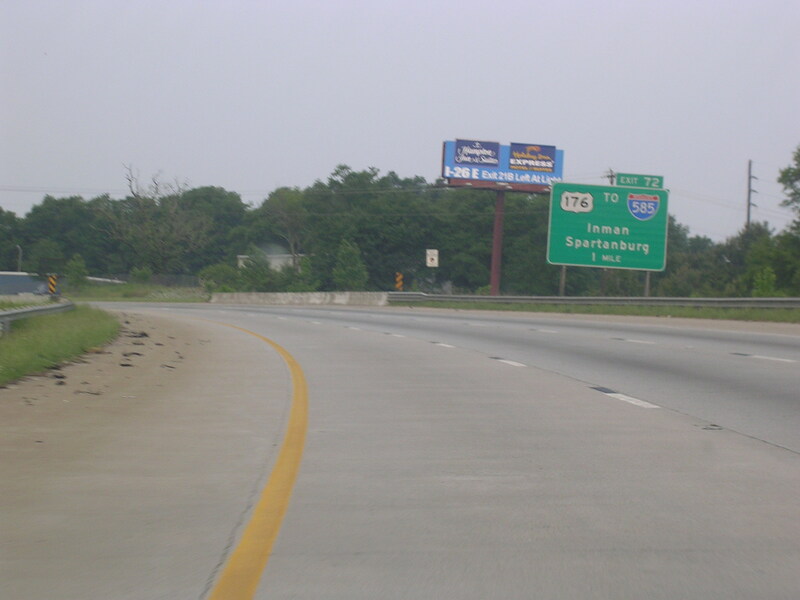 Here we are back at I-26. 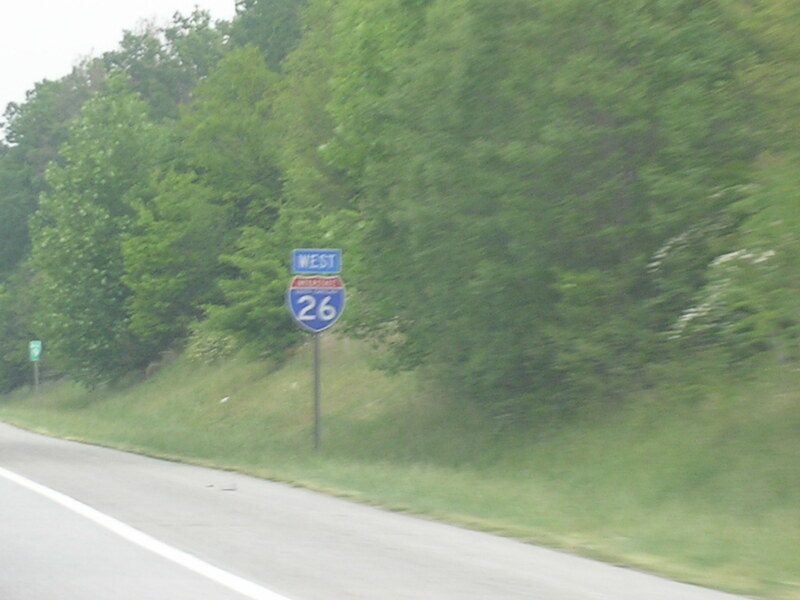 West I-26. 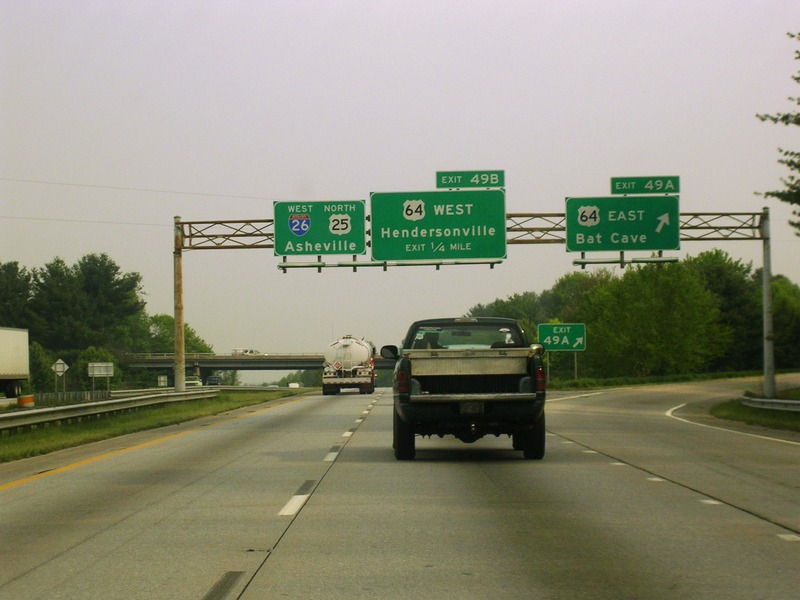 West I-26 again. 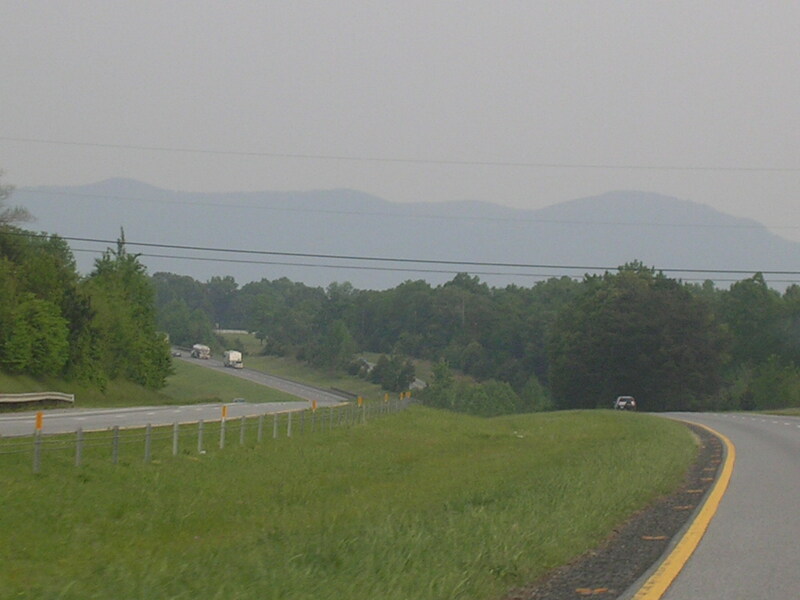 Them mountains over yonder are in North Carolina. And now we are, too. 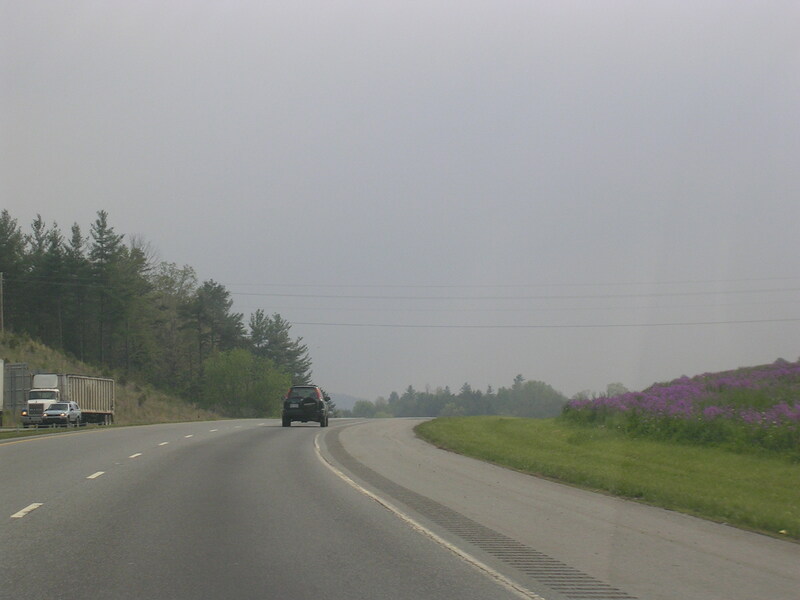 An I-26 scene in NC. 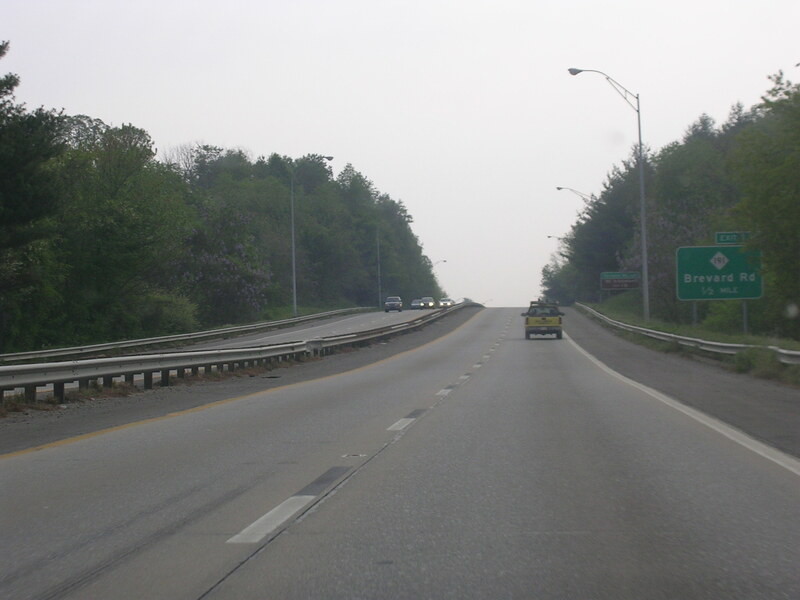 US 74 joins the interstate here near Columbus (teeny tiny town). 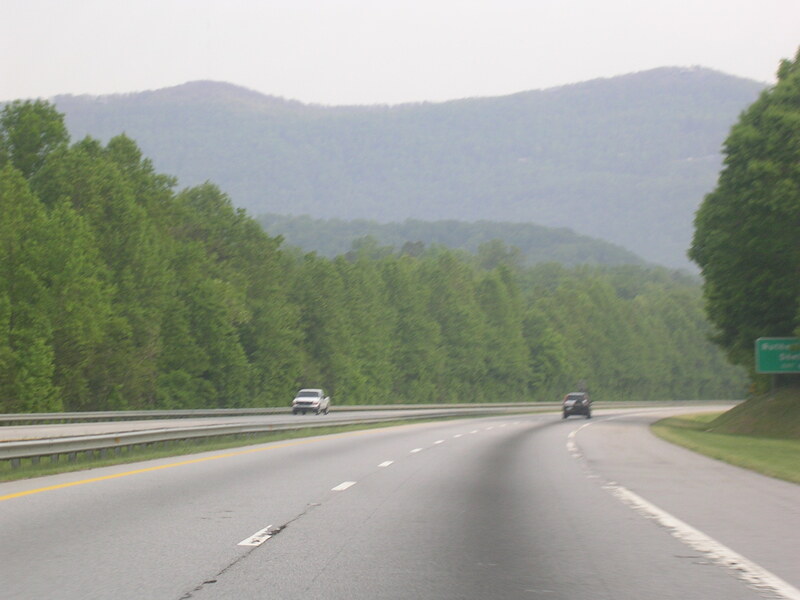 The Appalachians loom over I-26 south of Asheville. 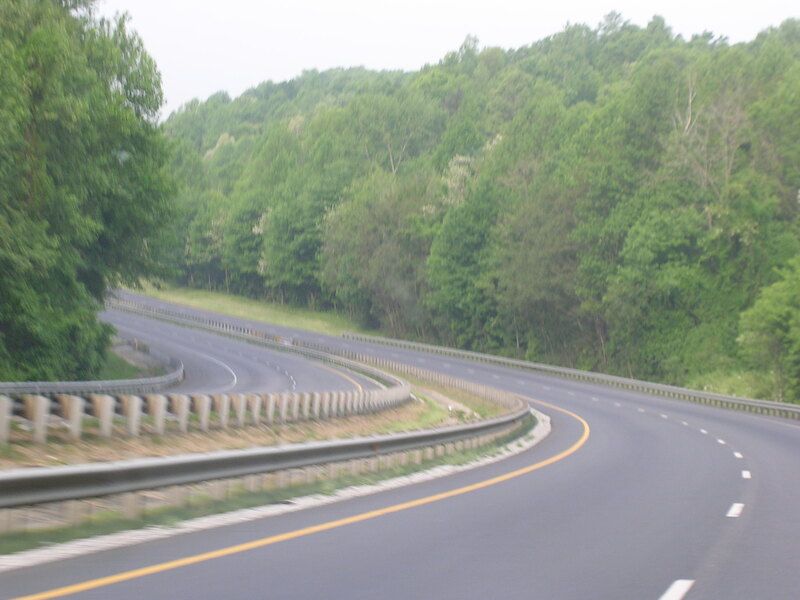 There are some curves, too, and just a little bit of traffic. 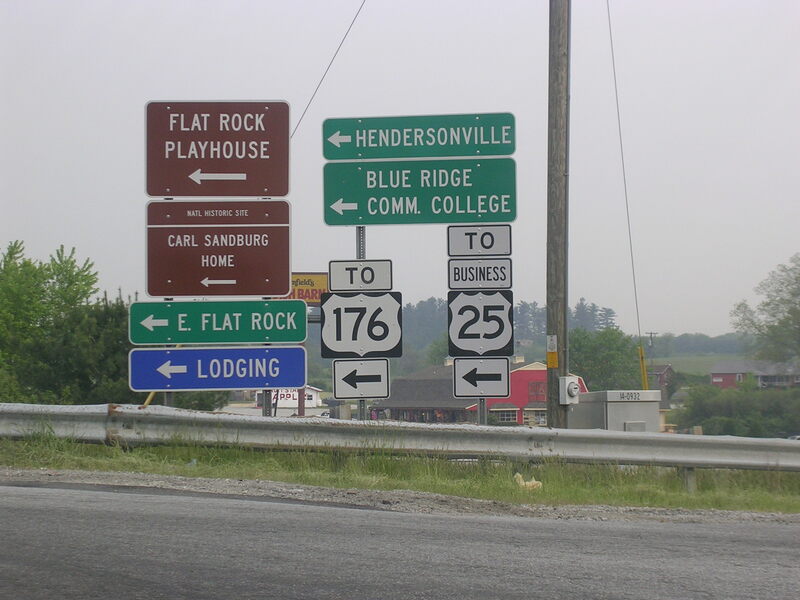 Signs at a quick breakfast stop near Hendersonville. 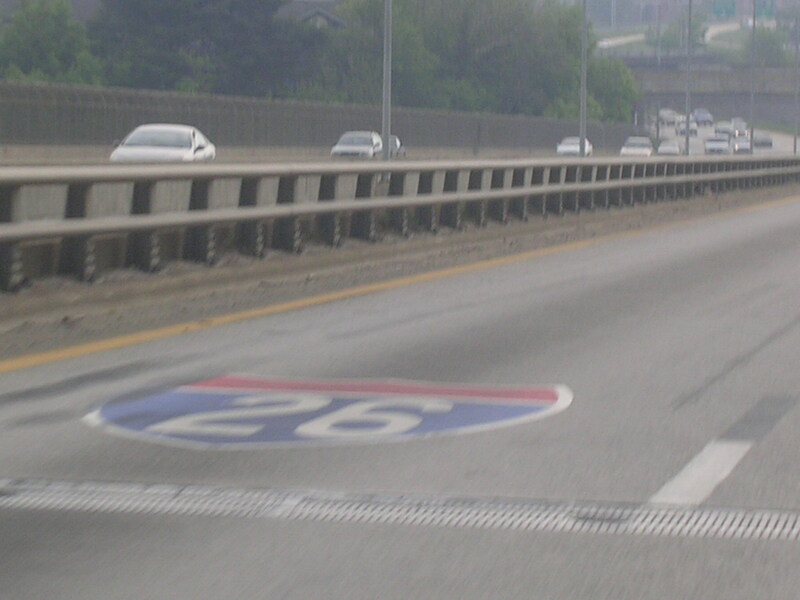 An I-26 shield after breakfast. Na na na na Bat Cave! 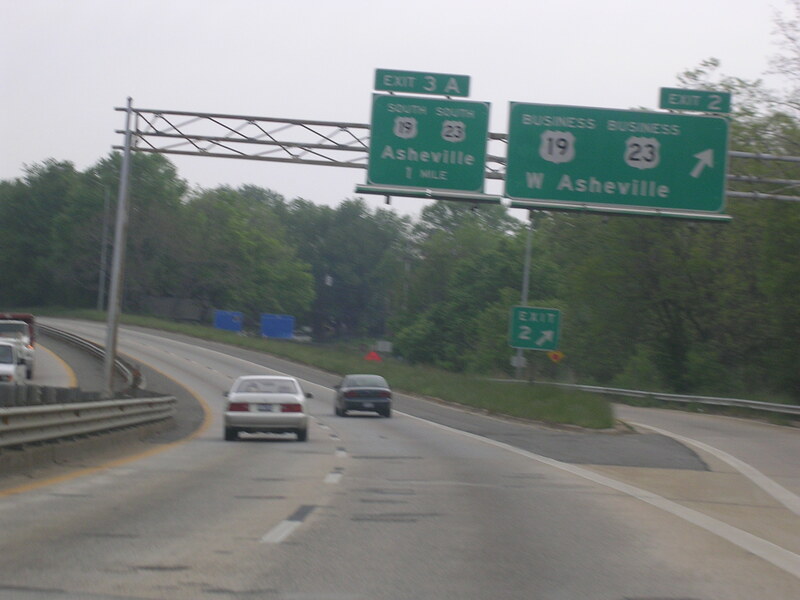 We've made it to the old western terminus of I-26 in Asheville. 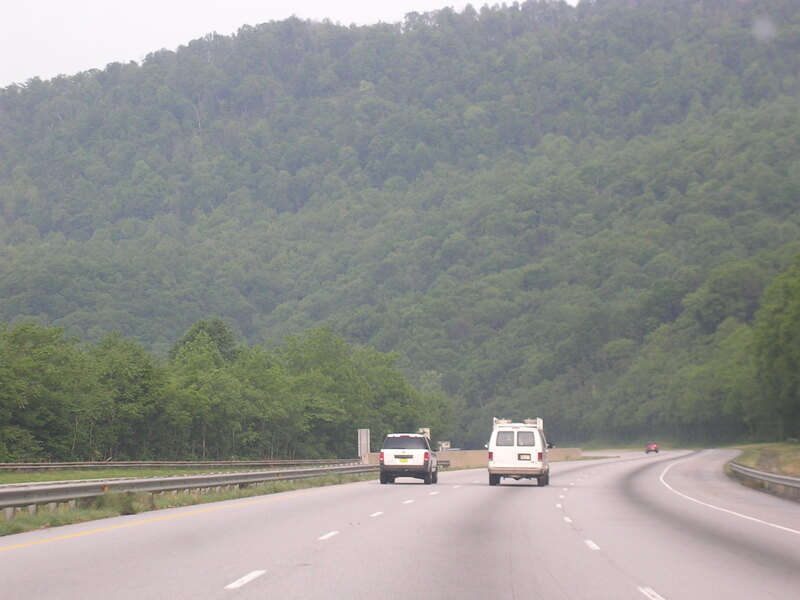 But it now continues north (west) to Kingsport, TN. The split. 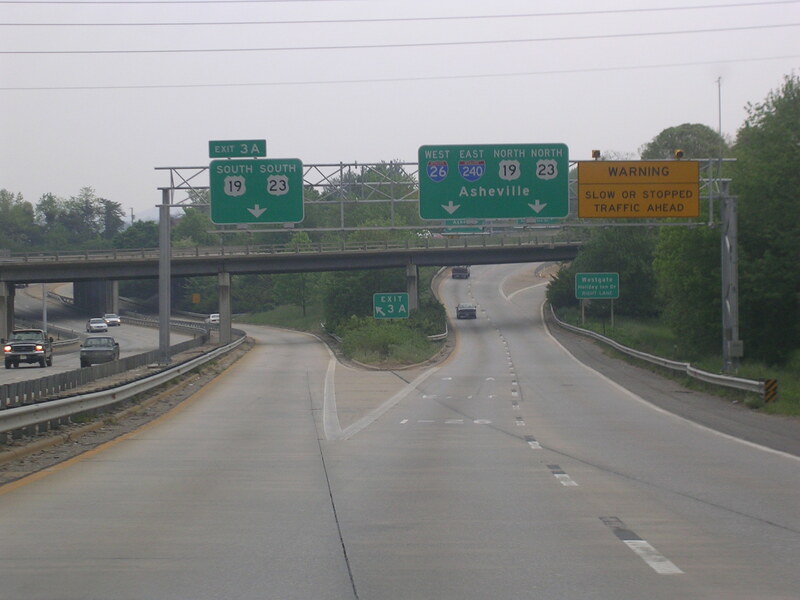 I-240 is only signed here, not I-26. 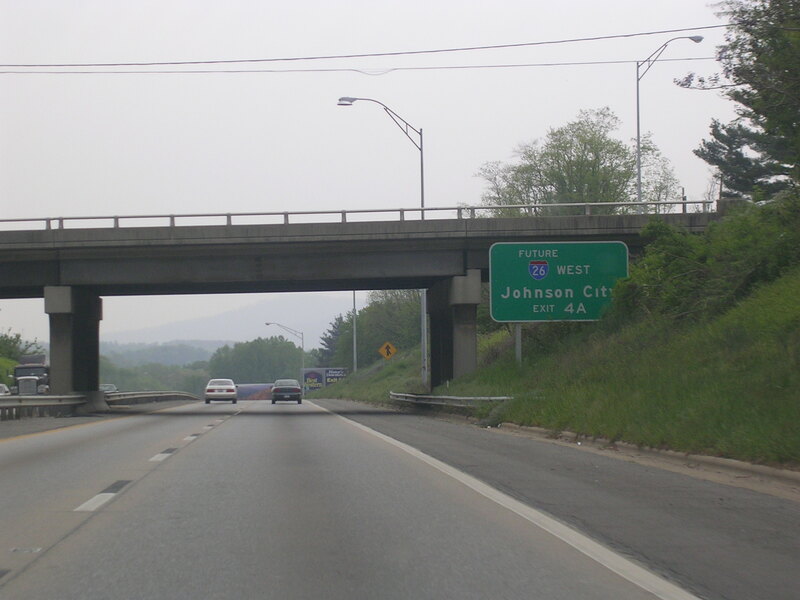 Billy Graham Freeway... yikes. 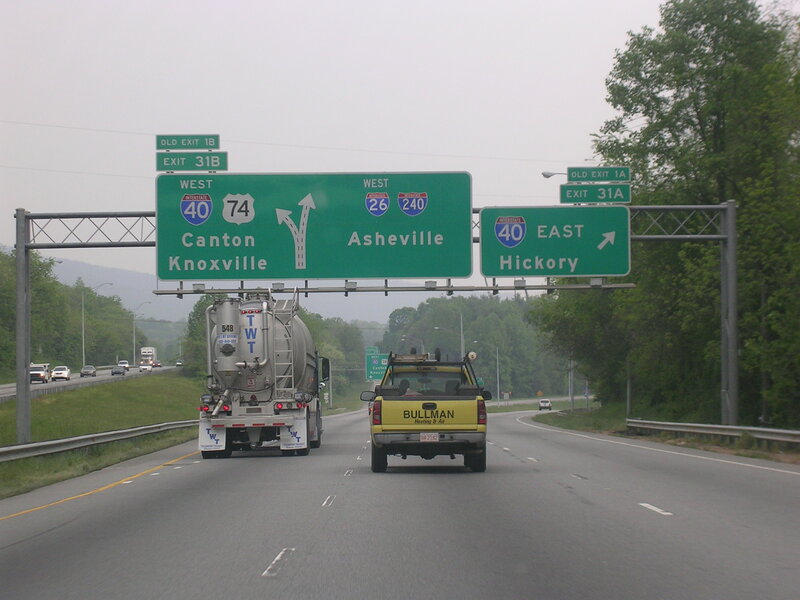 I-240 and I-26. Big shield, little shield. Sorry for the blur. 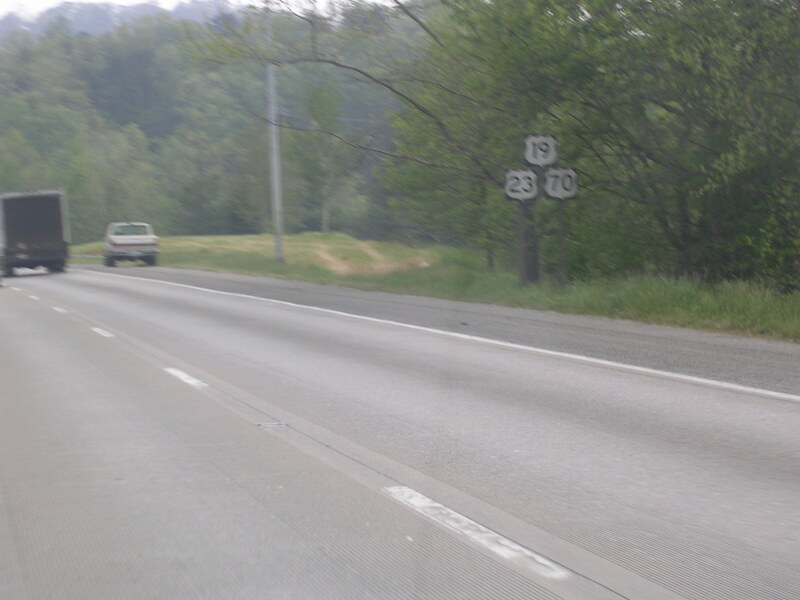 US 19 and US 23 are in 1 mile. 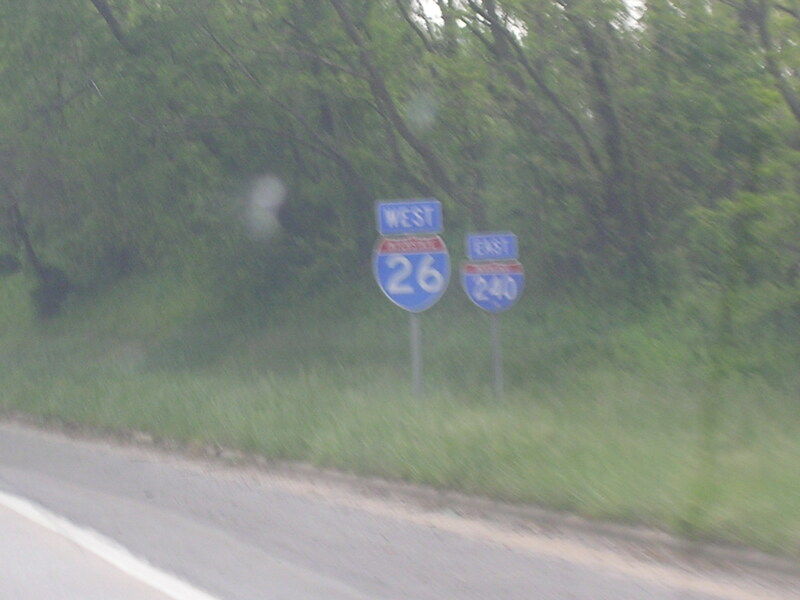 We'll stay with US 23 all the way to Circleville, OH, from here. 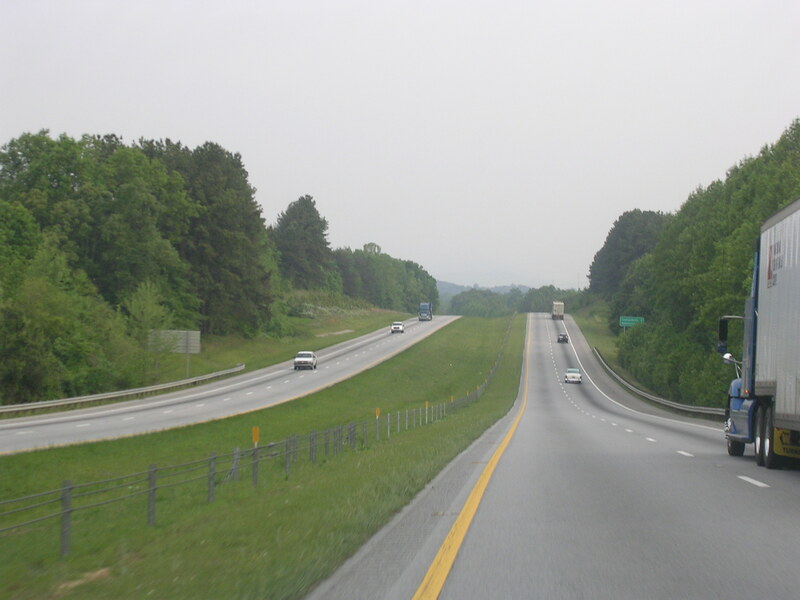 Future I-26. I guess I'm not really on the road I thought I was on. 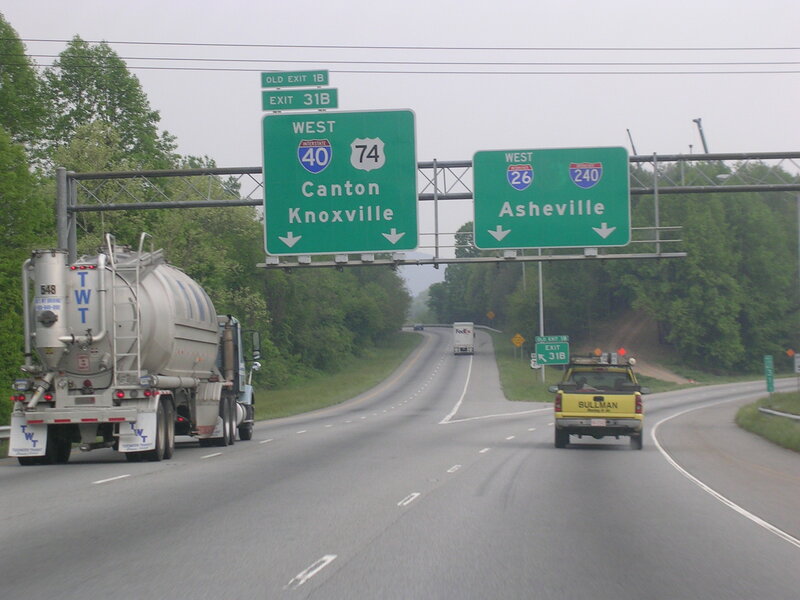 Bunch of roads, exits, and curves on the interstate in Asheville. 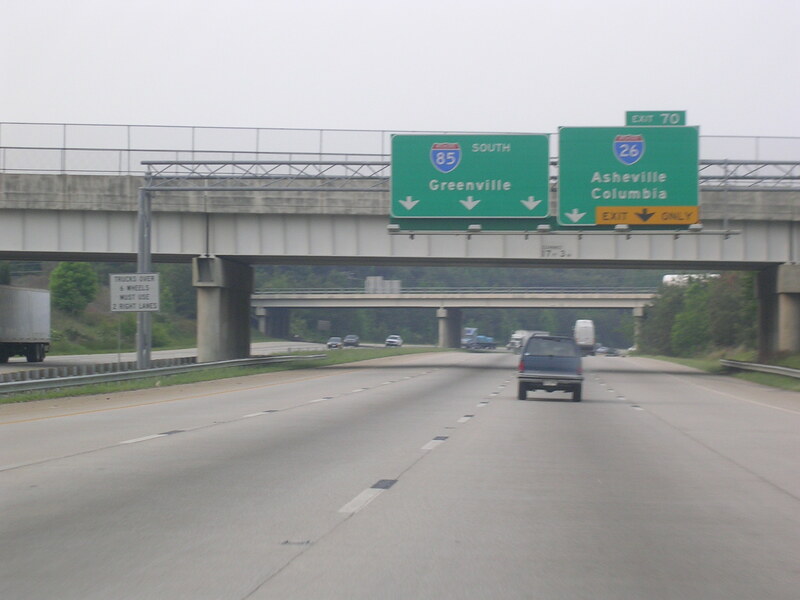 Oh yeah, I-26 is here, too. 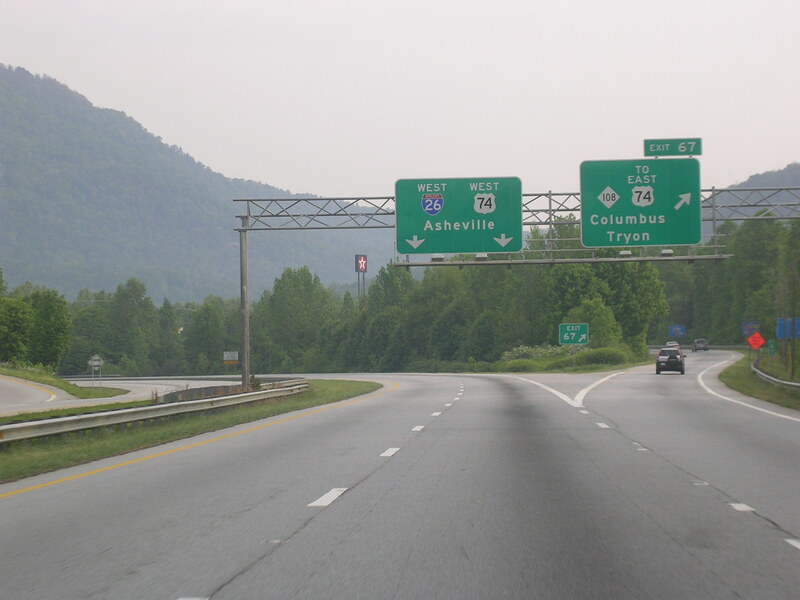 I-26 shields are painted in the left lane here, for the left exit I-26 takes. 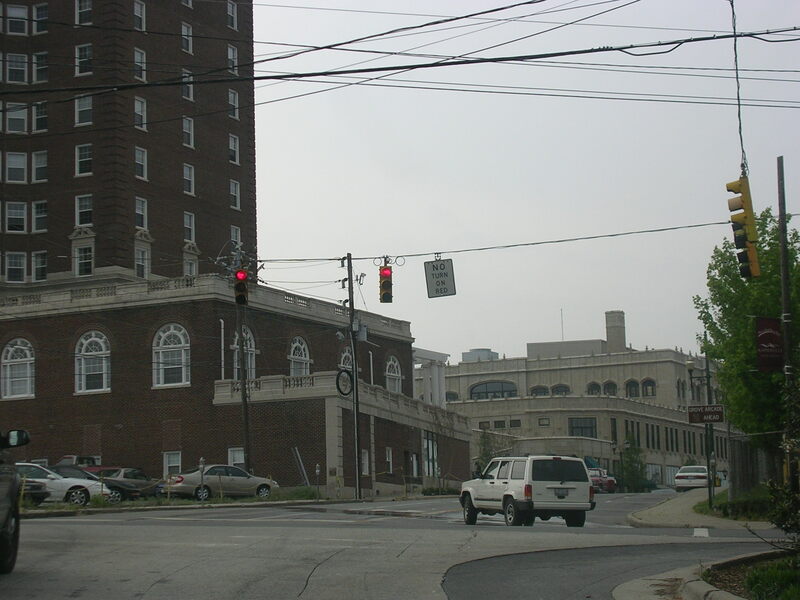 Despite this, I still missed the exit. And here's where I ended up. Good, now we're back on track! 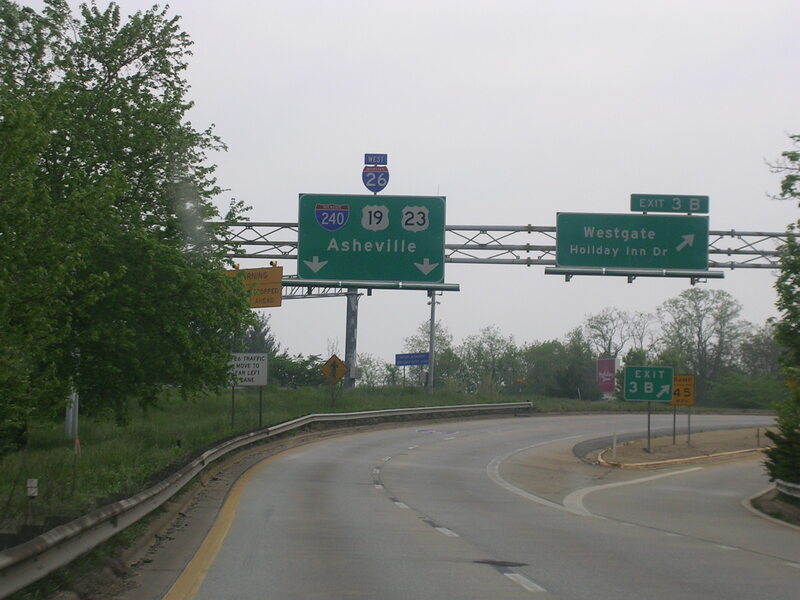 I-26 is not signed here, although every other route through Asheville is. Pretty wildflowers.